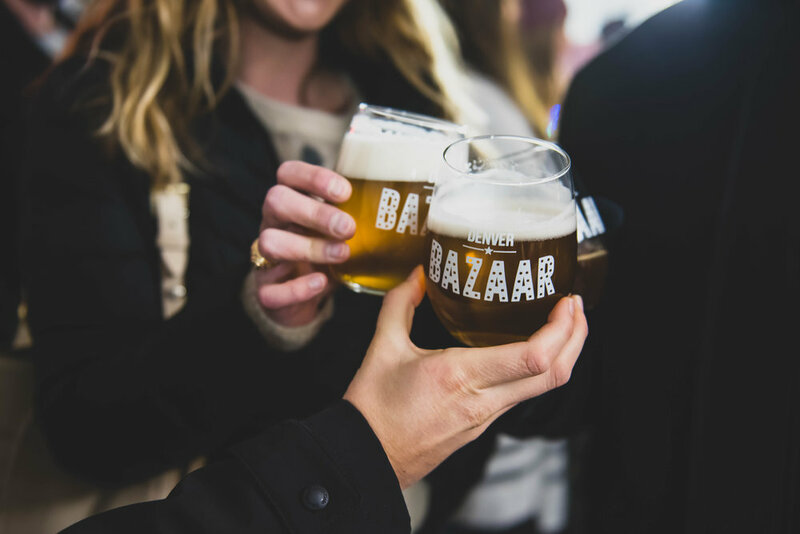 Denver Bazaar is proud to bring over 100 local makers, food and fashion trucks, beer and cider tasting, and much more to the streets of the RiNo Art District this Spring! Saturday, May 18 from 12 p.m. to 6 p.m.
Sunday, May 19 from 12 p.m. to 6 p.m. Taking over Walnut St. between 28th & 29th! 500 Free General Admission Tickets are available starting March 11th at 10AM. General Admission will be $5 advance / $7 at the door once the free allotment is gone! $18 Early Bird Shop & Sip Tickets go on sale March 11th. What is RiNo Spring BAZAAR? 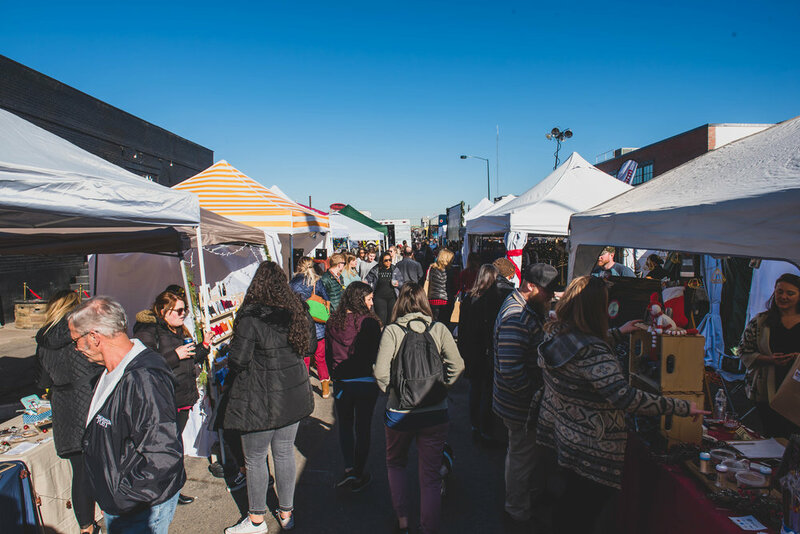 A vibrant market filled with outstanding local shops, creative and delicious food, and a variety of spirited drinks, all coming together to elevate and redefine the shopping experience into a fun celebration in the streets of RiNo Art District. Where is RiNo Spring BAZAAR located? Taking over Walnut Street at 28th St., right next to Stem Ciders, Yeah Baby, and 14er Brewing. Vendor lineups will be released closer to the event via the Official Facebook Event. Be sure to RSVP for updates here. How many food trucks will you have? Each day will feature 7 Local Food Trucks offering a variety of foods, including vegetarian options. Street parking is available in the surrounding neighborhood. We highly suggest taking a Lyft if you plan to Shop & Sip! Is this Kid and Dog Friendly? Yep! Kids under 12 are free admission and well-behaved dogs on leash are 100% welcome.